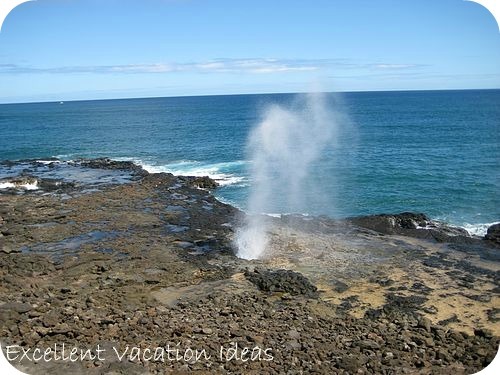 Kauai Vacations - One of our favority vacation ideas for your next Hawaii Vacations. 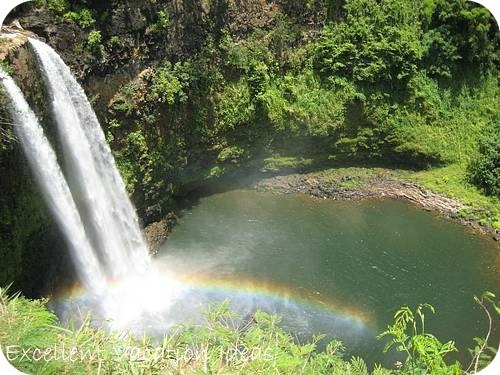 Kauai is known as the "Garden Isle" and is the oldest of the Hawaiian Islands. It is lush and tropical and absolutely beautiful! You can see waterfalls in the mountains while on a hiking through the Na Pali Coast National Park. You can try tubing the ditch through a sugar plantation. Or maybe you will zip line through the tropical hillside. 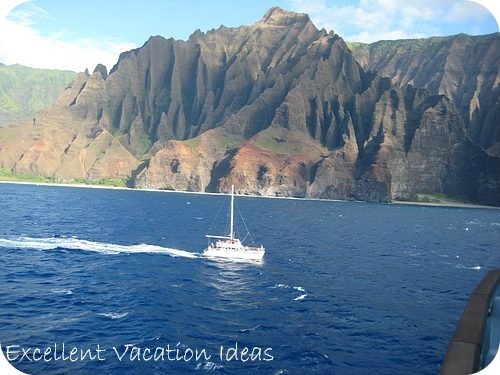 Whatever you choose don't miss a helicopter tour over the Na Pali Coast and Waimea Canyon. And of course there are beaches, beaches and more beaches. In fact Poipu Beach was voted the "America's Best Beach" by the Travel Channel. Kauai is just a beautiful and peaceful place to visit. 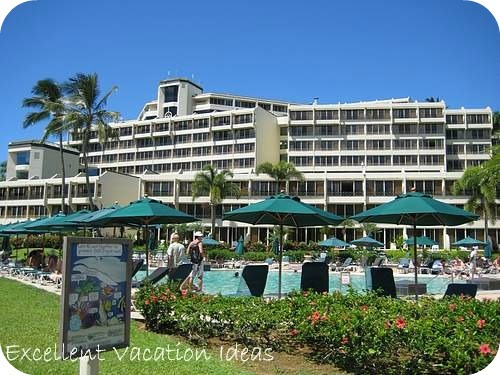 It is a perfect romantic Hawaii vacation. 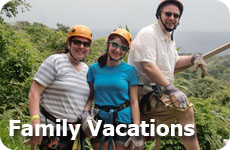 But it will also satisfy all family members on a family Hawaii Vacation if you like adventure and hiking! 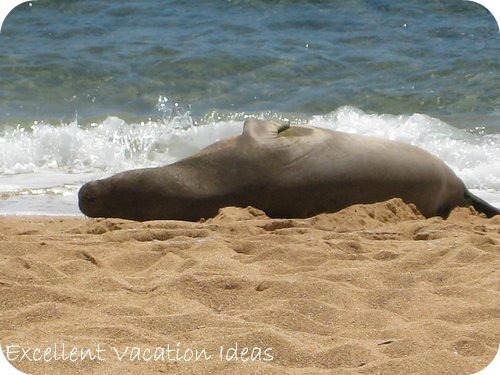 For more ideas on things to do in Kauai click here. We have been fortunate to have had 2 Kauai vacations. Our first visit to Kauai was on our first Hawaii Adventure and then we returned the next year with Montana on our way home from Australia. We rented a beautiful condo for an amazing and relaxing week. On our first visit we took a helicopter tour, went zip lining and tubing the ditch. When we returned with Montana we took her zip lining on a different part of the island. We also had lunch at the Princeville Resort and searched out the Queen's Bath and took a swim. We searched out Kauai's waterfalls like the Wailua Falls and drove out to the Nakalele Blowhole. 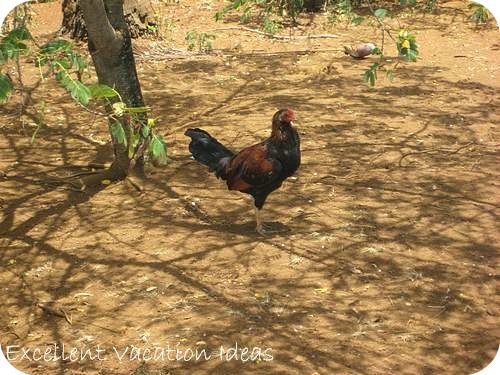 Warren loved the wild chickens running around and the condo we rented at Outrigger Waipouli Beach Resort & Spa. We were even treated to a seal sighting right outside of our condo. The filmmaker is Devin Graham and all I could say is WOW when I first saw this. He spectacularly shows the beauty of Kauai in this short film. He filmed it over 9 days, 2 days hiking the Na Pali Coast - an 11 mile hike along the coast. Then 2 days exploring the island with his friends and then 4 days on his own on the island. He showcases the beauty of Kauai like I have never seen it before! Take a break from Honolulu or Waikiki and visit the North Shore on the Island of Oahu. See our experience and how much we enjoyed the North Shore.